Who has time to get sick? We all have busy lives and succumbing to illness just doesn’t fit into our plans. Statistics show that adults get 2-4 colds per year and children get 5-10 colds per year, on average. Cold and flu season starts peaking in October and continues through March. With all the exposure to sickness all around us, it is important to have a strategy to avoid getting sick. While raising our kids, we had the “go-to” plan of taking Vitamin C and Garlic at the first sign of coming down with something. Our method to avoid getting sick seemed to work pretty well most of the time. However, we still fell victim to the occasional sickness that would work its way through our household. Everything changed for us once we started using essential oils. I wrote another blog post titled, Essential Oils: A Life Changing Journey. 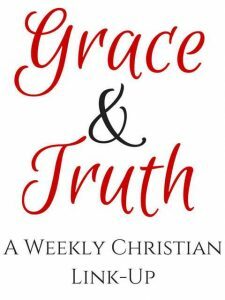 I share about my daughter and how she was constantly sick while away at college. This sadly disrupted her ability to sing. As a vocal performance major, this was devastating and affected her ability to continue progressing in her degree. She tried everything to avoid getting sick, but nothing worked. That is until she found out about essential oils and started using them. My mom has always been very sensitive to weather changes, and if she would ever get the slightest chill, she ended up getting sick. This inevitably led to bronchitis for her and took at least a month for her to recover. It happened almost every Christmas, every special occasion and on every trip she went on. After I got her started with essential oils, now she rarely gets sick. In fact, I can’t remember the last time she was sick, which is amazing! Now at the first sign of the sniffles or a scratchy throat, she uses her essential oils to avoid getting sick, and she is feeling better the next day. We were even able to go on her “Dream River Cruise through Europe” together this year with not one problem with sickness. We even passed around the oils to friends we made on our cruise to help them avoid getting sick and boost their immunity. Many years before this, we had a nightmare Mediterranean cruise experience with sickness that made me vow to never go on a cruise again. It took years for me to agree to the River Cruise with my mom. But now, armed with our essential oils, we made it through flying to Europe and a 12 day Viking River cruise with no sickness. We had such an incredible time that we are already planning another trip. Well, you may be thinking great, but I don’t know how to use essential oils or which one to use. 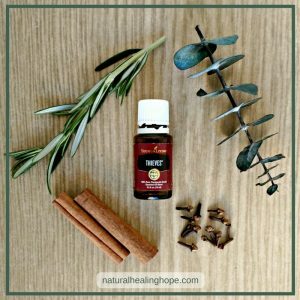 There is a simple solution for building your immunity and warding off all the germs and bugs you will inevitably be exposed to during cold and flu season. 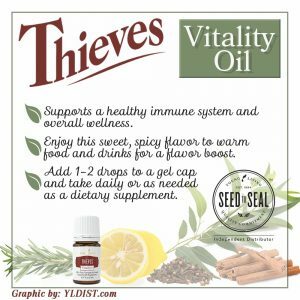 The oil that has worked best for us is called Thieves, and it is a trademarked essential oil blend created by Gary Young, the founder of Young Living. It is a blend based on information going back to the middle ages. Apparently, there were some famous thieves during the period of the black plague who were known for robbing the sick and dying, yet they never got sick themselves. Once arrested and questioned about this, it was discovered that they used a combination of essential oils as a means of protection. They were given a lesser sentence in return for giving up their secret blend of essential oils. So that is where Gary Young got the name and information for developing Thieves. It is a blend of Clove, Lemon, Cinnamon, Eucalyptus and Rosemary essential oils. 1. All we do is rub a few drops of Thieves on the bottom of our feet at night before we go to bed. Surprisingly, within seconds the oil circulates through the entire body. The molecular structure of essential oils is so small that it can be absorbed rapidly into our skin and then circulate through all our systems and penetrate every cell in our bodies, including crossing the blood-brain barrier. All of this happens within minutes. The reason applying it to your feet works so effectively is that all our nerves end at the bottom of our feet. If you look at a Vita-Flex Foot Chart, you can see a map of all your body systems and where the nerves from those systems end in your feet. We put Thieves in the arch of our feet, but if you want to target a specific area, you could find the spot on the bottom of your feet where the corresponding nerve ends. For example, if you are having trouble with your sinuses, you could rub Thieves at the base of both of your middle toes. Note: Many oils need to be diluted with a carrier oil such as coconut oil to avoid skin sensitivities, but it is not necessary to do this on the bottom of your feet. 2. The other way we use Thieves to avoid getting sick is by diffusing it in our main living areas and our bedrooms at night. This is especially important if other members of the family are sick because this will purify the air that the whole family is breathing and thus prevent the spread of airborne germs and viruses. There was a study at Weber State University in 1997 where they demonstrated the power of Thieves against airborne microorganisms and showed a kill rate from 90 to 99.96 percent depending on the organism tested, after diffusing it for only 12 minutes. You can read more about this and the science behind how essential oils work, in the Reference Guide for Essential Oils by Connie and Alan Higley. This guide has become my essential oils bible. 3. Another way to avoid getting sick is to make sure you keep door handles, light switches, and countertops sanitized. 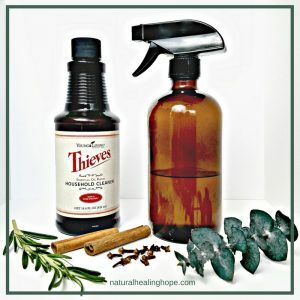 Young Living has a wonderful concentrated Thieves cleaner that you dilute in water. I use a brown glass spray bottle purchased from Amazon and add one capful with water to fill the container. It has lasted me over a year, and I use it for everything, especially in my kitchen. I have peace of mind that my counters are clean and there are no chemicals to worry about where we prepare our meals. So far I have shared what we do to avoid getting sick. If that isn’t working and I feel like I am coming down with something, I step it up with the Thieves. At this point, I use it not only on the bottoms of my feet but also on my wrists, behind my ears and at the base of my neck multiple times per day. I also make Thieves Tea with a drop of Thieves in water with lemon and honey and sip it slowly. It reminds me of drinking Theraflu except this is all natural and good for you. This usually does the trick and I wake up the next day feeling great. Young Living offers Thieves as a Vitality Oil as well, which is an oil approved for ingesting. Thieves is offered in the Young Living Starter kit. 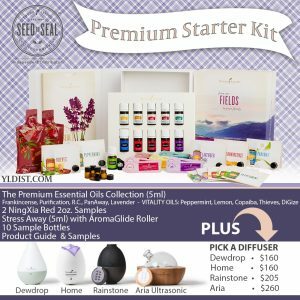 I think this is the best way to get started with oils because you get 11 of the most popular oils along with a Premium Diffuser at an introductory price. If everything was purchased individually, it would cost so much more. Having the oils on hand is the ideal way to learn how to use them… just by trying them. 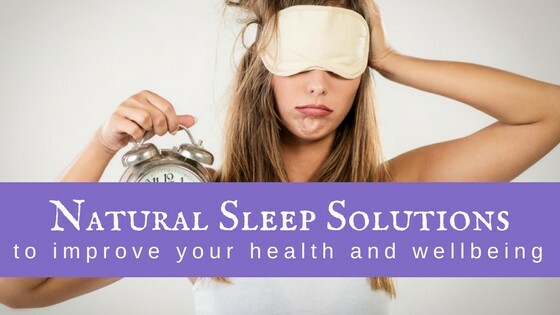 You will be surprised to find out how many times they will come in handy and keep you and your family healthier. An added bonus to getting the starter kit is that you become a member and you can buy all your oils and the many other incredible natural products at wholesale prices with no on-going monthly obligation. Visit my essential oils page to learn more. So finally, If you are desperate to avoid getting sick right now and you don’t have any Thieves on hand, I have a solution for you. 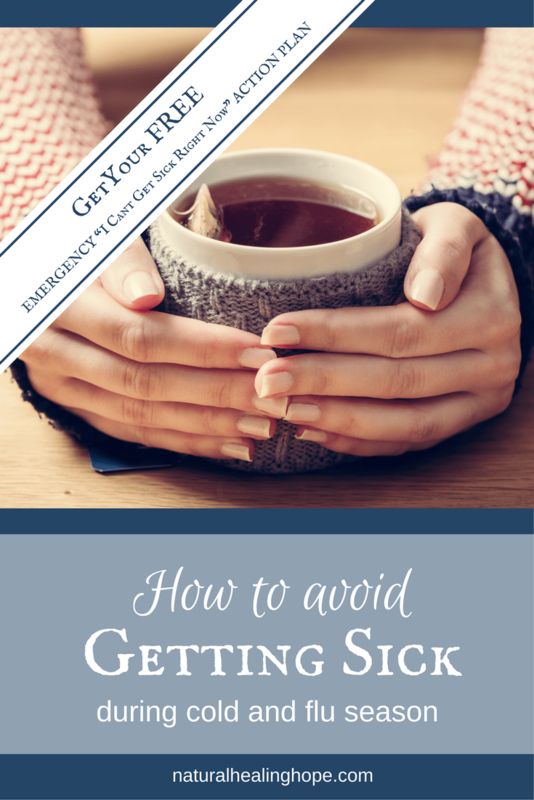 You can get my FREE Emergency “I can’t get sick right now” Action Plan that has a simple plan for conquering whatever you are fighting off right now. 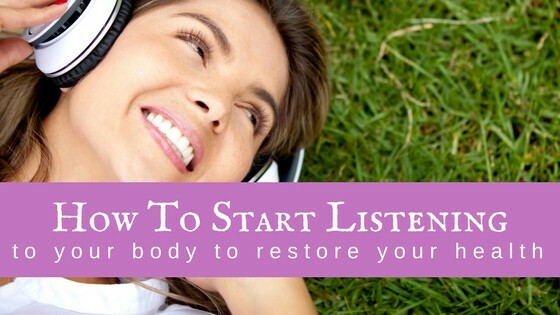 It includes my best ALL NATURAL tips for building your immune system back up so it can fight back effectively. A DIY Recipe is included to make your own Thieves from common oils you may already have on hand or that you can get locally at a health food store. 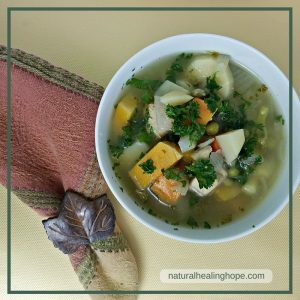 Also included is my son-in-law’s fantastic healing chicken soup made from a recipe that has been passed down in his New Zealand family for generations. It is super easy and will give your body all the nutrients it needs to build a robust immune system. 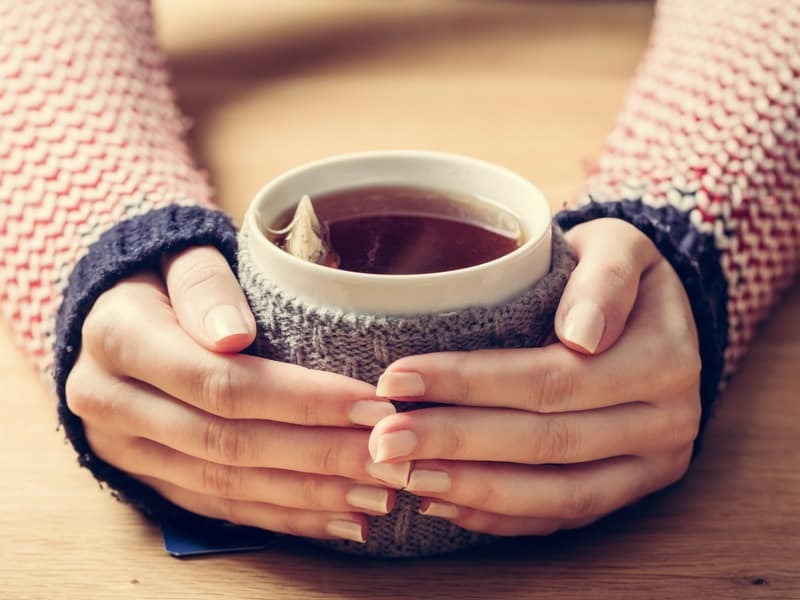 I hope this helps you whip your immune system back into shape so you don’t need to be thwarted by illness and prevented from doing all the valuable things you do each day. Here are some of my favorite products from Amazon that I use daily with my essential oils. I wish you good health and JOY in your journey! Please note: I am not a certified or licensed healthcare professional. The information shared is from my own personal experience. Read my full list of disclosures HERE. So informative!! Just wanted to let you know that it’s kind of difficult to read the text with the changing backgrounds, but there is so much good information here that people need to be reading! Essential oils have changed our life as well – and they are our go-to when we’ve been exposed to illness. I’m always using Thieves to clean, especially during cold/flu season! Thanks, Savannah, I just checked this post on mobile and I can’t figure out what you mean by changing backgrounds. Thanks for letting me know though. Glad you enjoyed the post.